Hey! I am back with a BANG (at least to me)! Tee hee. This time round I am gonna share with you what I have created with the new+ beautiful collection by Basic Grey called Plumeria. I love the color combo especially purple + orange. Breathe in the deep hues and experience the calming effects of delicate florals, striking geometric shapes, and watercolor-style prints in our blooming Plumeria collection. An assortment of dusky lavender, dramatic midnight purple, mossy green and a thrilling pop of orange cascade through this line of long-stemmed imagination. Take time to stop and smell not only the roses, but all of the natural wonders found in this classically intriguing line. That's my sweet friend, Emeline Seet. I am just so blessed to know this beautiful soul. We are real friends for almost 2 years now and I really appreciate our friendship. Last March, I visited her and her lil munchkins again & of course we took a lot of pictures to treasure those memories. BTW, I met someone else too, will let you know about her very soon. 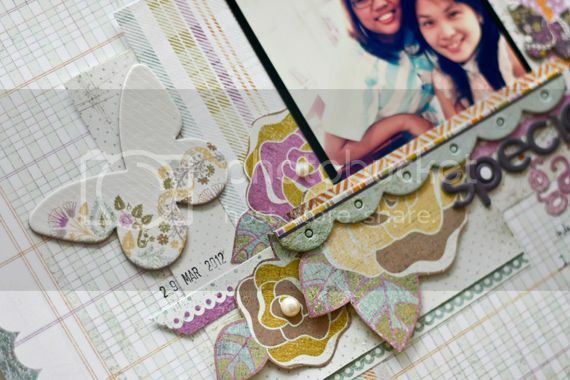 During my March trip to Singapore, I met another lovely scrapbooker friend. 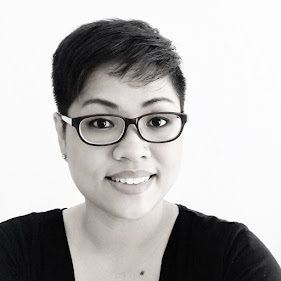 She is none other than Leena Loh. She is a Malaysian (just like me) residing in Singapore with her hubby and her very adorable son, Ethan. This lady is a very fun person to be with. 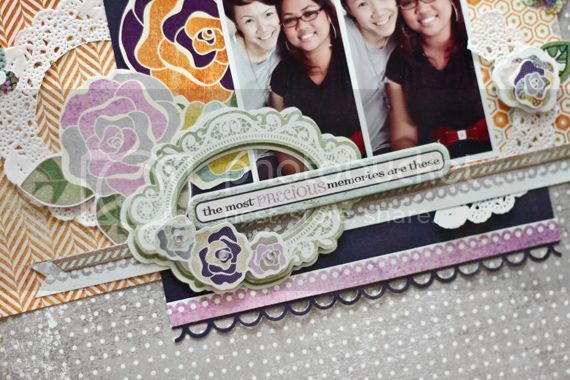 I am glad that our passion for scrapbooking brought us together. Oh yeah, do check out her etsy store too. Gorgeous stuff!! 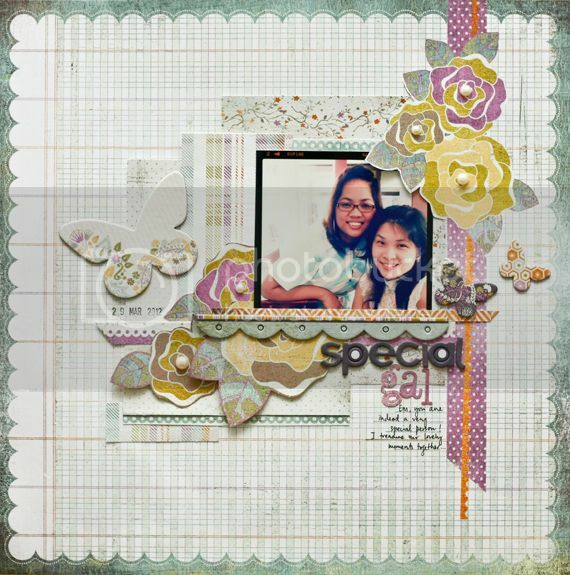 Beautiful layouts Jessy! I find Basic Grey a bit intimidating as their patterns can be very full on but your layouts show that there are some very versatile papers in the Plumeria range. I will have to stalk my LSS now. All your projects are wonderful! Amazing job!! super gorgeous...I really love the plumeria collection! I loveeeee this collection and I love love love love what you did with it!!! GORGEOUS!!! Gorgeous projects! I love your layering! great projects. they are all so very lovely! 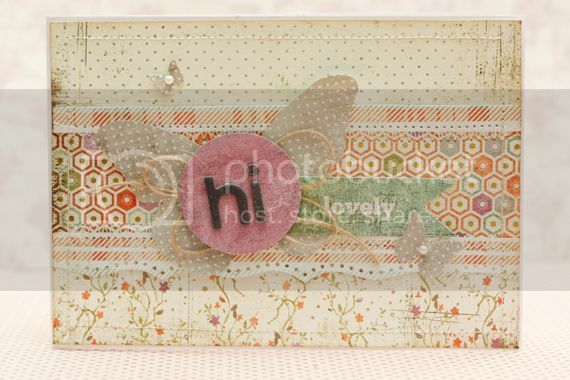 These are all beautiful with such fabulous layering! I normally am not a purple girl, but you so rocked this collection!!! All of your projects are just stunning! These are just lovely. I adore this line too. I'm actually teaching a class next week at my LSS using both the Plumeria and Konnichiwa lines (not all on one page, lol). Your creations are just stunning Jessy! 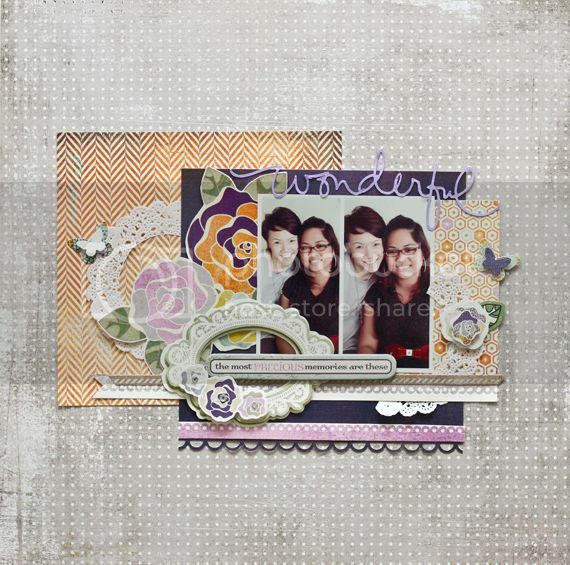 Lovely projects =) Great use of BG papers... wich I myself find very hard to scrap with. Wow, gorgeous projects Jessy!! BG and you is fab combination :) !! My fav is the first layout!! (and the 1st card). LOVE them! They are SO gorgeous!!! 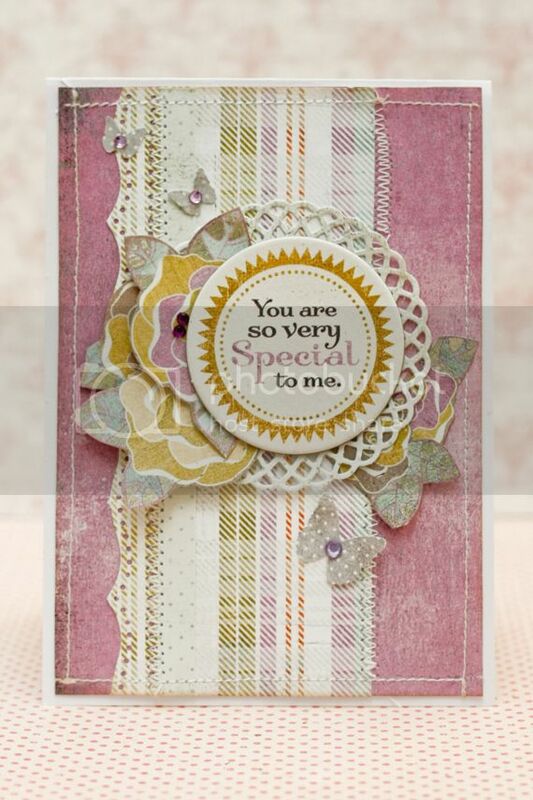 a very nice cards and layouts Jessy, colour are so soft and great combo. Loads of elements to feast my eyes upon and love love this collection. Thank you for sharing! Beautiful projects!! That line is awesome! Wow! How gorgeous! What a fabulous post, Jessy! Love to see so many stunning projects all at once. You have rocked this sweet new line! i love all of the layout here...you are so talented! 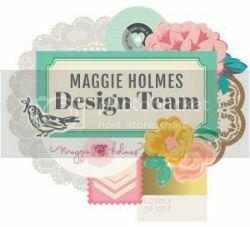 Nook News: April Nook kit!